You still don't see it happen, but you can tell from Lee's expression on his face that he knows that Kenny died. 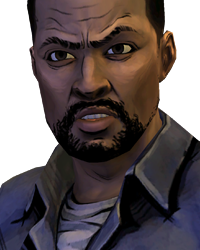 Actually, that expression seemed pretty ambiguous, and I think Telltale wanted both Kenny "deaths" to be unclear about if he had survived. I think it's possible he survived in the Christa scenario. he is obviously alive! I think duck and carly isnt dead either. I guarantee thay come back. They are obviously dead. Not sure about Kenny however. I am a huge fan and was wondering if they had announced anything yet. Yes there will be and it was also confirmed. That's why you see 'season's finale' and all sorts of things on the walking dead website. It isn't the end. I don't like the Kenny death. I feel if you killed Ben that should prevent Kenny's death, giving it some meaning. The chances aren't good, butI still have speculations. 1) He wasn't visibly shot in the head like Carley or Katjaa. You don't even see him die. 2) No screams whatsoever. Even if it was a "giving himself up" moment, there is still pain, and he used the last bullet to kill Ben if you saved him in Episode 4, so he couldn't have shot himself. 3) Escapes. If there is one thing that I know about the walking Dead, it's that if you don't see a body, they're not 100% dead. On the show, Andrew was in a similar situation and he screamed then: Kenny didn't even do that. It's definetly possible at least. He started runing down the alley. He could have gone down a manhole or shattered a window. When you look down from the roof you see the swarm over Ben and a few over something else, but not eating. They could have been reaching down a manhole into the sewers. 4) In the end character conclusions it says, "Lost in a herd a walkers." Why not just say dead? 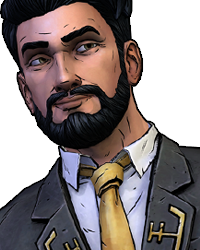 Why would Telltale leave that open if he was completely he was not just merely dead, but most sincerely dead? 5) Why just leave Christa and Omid? A couple. Leave all the torn apart people to die and leave the last couple that you barely know alive. To have a defining link that is with the protaganist the whole story just die quick with no real emotional tole doesn't seem realistic as much as him escaping the herd isn't realistic. If this was actually realistic, thy wouldn't leave a pregnant woman and a wounded guy alive and and the capable people dead. 6) This is different that Lee dying. People expected Lee to die, so the everyone dies attitude would presume Kenny dead as well. If he was alive, people wouldn't expect that. As much as people wanted to save Lee, once he was bit you knew it was over. Kenny is kind of a mystery. 7) Tyreese was in the same situation. Yes he had a hammer , but a hammer isn't much either to not only kill someone but destroy every single brain completly. That showed me nothing is impossible. Knny could smash a few heads in I'm sure. He appereciated Lee's company for that and was able to killthe walkers at the gas stations grabbing Duck as he says at Hershel's farm. 8) He ran off. After shooting Ben he clearly runs off screen pretty fast and we see or hear nothing more of him. The scene in the building is harder to tell but it is unlikely he killed himself after that speech and we still hear nothing. So he could have escaped and he wasn't even trapped. The alley wasn't one way. He could have forced out the other side. So yes, the odds aren't good for him. He's more likey dead than alive, but don't close the door on Kenny yet. Something tells me Telltale wouldn't have cause this suspicion and left the door open if they weren't planning something. Come back? What that means? Do you think Kenny is actually dead? He dies in two possible ways in this game, either trying to save Ben's life or jumping in the hole to save Christa. What I find interesting is that they never ACTUALLY show Kenny being killed in any outcome. Maybe that's a hint he'll come back in season 2. 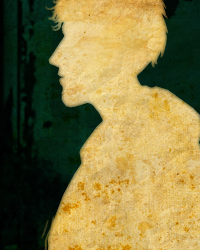 Maybe one of the people Clementine saw at the end was Kenny? You don't see any bite, you need to put teeth on the body and clamp down to bite. All you see is Kenny throw a walker back with his arm. If you freeze frame it you don't see his sleeve torn or anything at all during the whole scene. So no you really do not see him get bit. You see a zombie lunge at him and him throwing it back. While it's possible for Kenny to be alive, it's not likely. Although it DOES seem as though TT wanted to make certain that both scenes were ambiguous, and even the epilogue states that he was "lost" to the herd while everyone we KNOW is dead was actually listed as dead, killed, etc. I don't think TT intentionally made both scenes and the epilogue so ambiguous about his actual fate just for the hell of it, so it may be safe to say that they have future plans for Kenny. Even if it is something as small as visiting those locations in season 2 and seeing him dead/undead in the room, or finding whats left of him alongside Ben's corpse in the alley. they did that on purpose so we can make all these assumptions that may or not be anywhere near the truth. They want us to talk about the ending. I honestly think he's not only coming back, but might even be season 2's protagonist. They wouldn't make his death so ambiguous without a reason. I think it's a good possibility for either option, although the odds are in favor that he is dead due to the circumstances, you just can't confirm it. Telltale may have left that open for an air of mystery. That, or they want to leave their options open, now they can bring Kenny back should they want too, due to the fact that nobody can confirm his death. Bit of a strange one that. i think we will get a season 2 with the 2 people clem sees being a man and a woman that are completely new to the story and they start running after clem and she starts runing away they start screaming : WE don't wanna hurt you! Then clementine runs into a walker and then the male guy (protaganist) shoots the walker and clementine goes with them but still doesn't trust them and the whole first episode is about getting clemnetine to trsut you and in the end of the episode you end up winning her trust. Im surprised no one thinks it will be Rick. Thats what i think. But i could also see clem being the main character. Well, we don't see Lee die, do we? But he's dead, just as Kenny is, but I guess that's just my opinion, everyone has one :P.
You have the option to leave lee or shoot him. Im sure that most people shot him. Either way lee is not coming back. I don't expect that from Telltale. Who is the sexiest woman they've had thus far? Sybil? Marzipan? Momma Bosco? Considering that I made Clem and her well-being the absolute focal point of my playthrough of season 1 (as I'm sure most people did), I would be bitterly disappointed if season 2 wasn't largely centered around her. of course there will be a second season. First of all, I think Episode 6 will release around March/April. So here is how it stands, basing off the after credits scene. The two people are either Christa & Omid (Most Likely), or Rick and Carl Grimes. Why not? It is the Walking Dead. This game is the only main TWD media that Rick hasn't appeared in. Depending on if you shot Lee, I think he could make a cameo, (like Brie, Ed and Diana.) Brie somehow made it from Crawford back to Savannah, so why can't Lee? *SPOILERS* I had the playthrough without Ben. I don't know what the other playthrough is about (with Ben). But in the one without him, you don't see Kenny die!!! The wiki states he's dead, but he should be stated as unknown, (like Christa and Omid.) I think he'll be in Season 2. Dead or Alive. So, the main story I'm guessing, you will play as Clementine; starting maybe 10 seconds? after Season 1 ends. Clem will come across the two people and meet a new group. That's all I can think of. What do you think about my theories?? Playing as a 9 year old girl would be bad. That limits what we are able to do and say in the game. This is what I think what gonna happen in season 2: I going to get alot of hate for this but just listen! I think that Clem didn't kill Lee maybe she just shot of the handcuffs because she thought that Lee wouldn't turn!? Maybe she shot him in the head BUT Lee never died so you can say that Clem missed the brain. The thing that makes me think this could be possible is that when you shoot Lee I (can just be wrong with my ears) still hear him breathe! So I think that you play as Glenn in the first episode of season 2 and you find Lee. Glenn found a doctor and some other dudes on his way to Atlanta and now he is searching for Lee. Then in the rest of the episodes you play as Lee and you try to find Clem! I may be wrong and I think I'm wrong but it's just a thought! 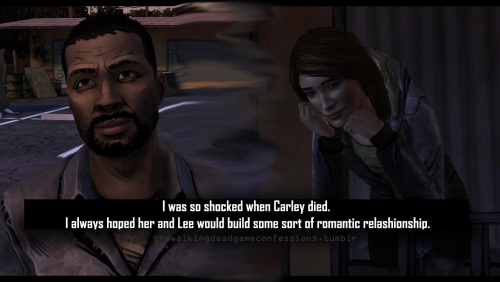 Well if I'm wrong RIP Lee and Kenny and the rest who died in the game! Thanks for an amazing game TellTale and I can't wait for Season 2! I do admire the possibility of Clem not shooting Lee. But Lee is dead. Or undead. Maybe he'll appear as a walker in the next season, but I don't think it's going anything beyond that. I think Lee is dead but I can't stop thinking that Lee died a little to... how do I say this... a little to fast! You know, you play as the guy and really building up an relationship with him! Lee is a strong man, at least from other characters in the game! I don't know, I just don't think Lee dies so "easy" if I can say it that way! I didn't watch Duck and Katjaa with a whole on their head, but we all know they are dead. I didn't saw Kenny get eaten, but I know he was surrounded both sides by a horde. We all know he is dead. We had a good 2 months or so to accept his fate when he was bitten in episode 4. At that point I only grew to care for Clementine's fate. Lee dying from blood loss or the bite -- he was out of time to live and to teach Clementine. I know it may be hard to accept it, he was a great character, but it's... OVER! If you are the player you understand that Lee's life is not important at all, but the fact that he have to prepare her to the world she will have to grow up into it. Like in the TV series, Rick explains to his kid that one day he will die, his mother will die and he will have to be prepared to take care of himself. 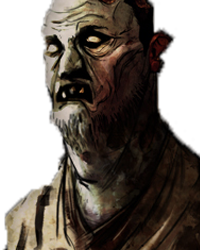 The best outcome for a strong Clem, is to have her shooting him before he turned. Along the game you can see you teach her, or make her watch small actions that pretty much defined how she was going to use to keep herself alive. The world they are into it, it's not " stand by my side forever and grow a family bound ", it's a survival. They must kill, look for food, shelter and move on. I personally think we're going to be playing as Clementine in the next season. If there is, I wonder how they're going to do all this. The Walking Dead in game time line has never been past a couple of years has it? Please, no big timespan between season 1 and season 2. Also, let's not play as Clem. Christa or Omid would be nice. I would preffer a new and fresh character. Omid is just a comical relief, while Christa, yeah she would be an option. If I had the choice, I would go with a male in my opinion.